Good. 0450417395 COVER WORN AND INSCRIPMENT ON FIRST PAGE. Select 1994, Plaza & Janes Editores, S.A.
great book...great movie....adding to collection of stephen king..
Really scary!!! 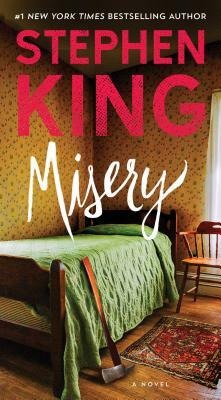 This is another of one of my favorite King books! I was really disappointed that the movie was not as dramatic as the book. Movies can never live up to the author's work. This is a classic, and Stephen King's descriptions make me feel what's going on in the book, it is that good. Also fun to watch the movie after the book to see the differences. it will keep you guessing.